We are grateful to the hard working folks who came out with rakes, clippers, chain saws, trowels, shovels, donuts (from crowd-pleasing Knakals Bakery in Culpeper) and SMILES to help during our annual clean up for Park Day. 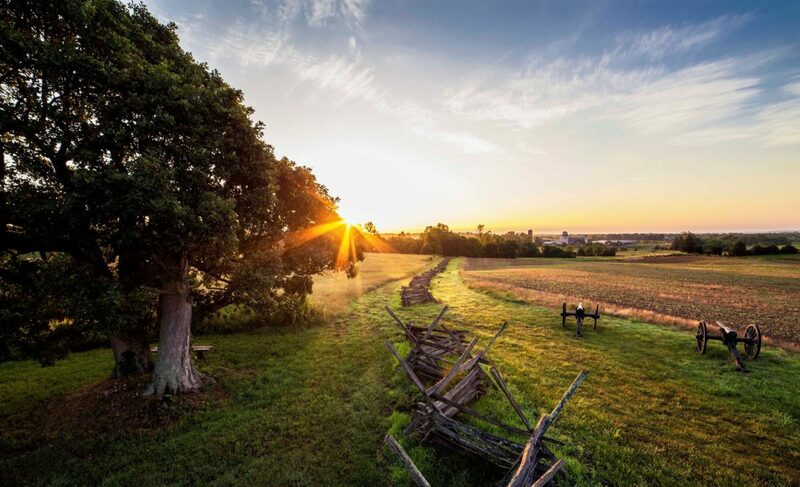 Park Day is sponsored by the American Battlefield Trust to support historic preservation through community involvement in restoration and maintenance projects. The group accomplished a lot over the course of a few hours. Fresh mulch was laid on a portion of the path that connects the parking area to the battlefield. Mulch also refreshed the footing of the picnic area. Some fence work was taken care of. Five big bags of litter and one tire were picked up by a team working on both sides of General Winder Road from the Friends of Cedar Mountain Meeting House to Route 15. At the Meeting House, where tours begin and special events take place, the overgrown bushes in front of the house were trimmed, and a garden bed was weeded. Overgrowth that was creeping from the side property line toward the driveway and parking area was trimmed and tidied. We are very grateful to everyone who chose to spend a few hours on a Saturday morning helping to ready Cedar Mountain Battlefield for a busy spring and summer with tours and our August anniversary event. Thank you!